Kuusamo is a town and municipality in Finland. Do some cultural sightseeing at Hannu Hautala Nature Photography Centre and Pentik Hill. Step off the beaten path and head to Kiutakongas Rapids and Shopping Center Kumpare. Explore Kuusamo's surroundings by going to Pieni Karhunkierros Trail (in Juuma) and Riisitunturi National Park (in Posio). It doesn't end there: take an exotic tour of a safari tour. To find photos, maps, and more tourist information, refer to the Kuusamo trip itinerary planning site . Sydney, Australia to Kuusamo is an approximately 29-hour flight. The time zone difference moving from Australian Eastern Standard Time (New South Wales) (AEST) to Eastern European Time (EET) is minus 8 hours. Traveling from Sydney in September, things will get slightly colder in Kuusamo: highs are around 13°C and lows about 5°C. Finish your sightseeing early on the 4th (Wed) so you can travel to Inari. Satisfy your inner culture vulture at Siida and Gold Prospector Museum. Get outdoors at Nature & Wildlife Tours and Lake Inari. Spend the 6th (Fri) exploring nature at Lemmenjoki National Park. To see maps, photos, ratings, and more tourist information, read our Inari trip tool . You can fly from Kuusamo to Inari in 5.5 hours. Alternatively, you can drive; or take a bus. In September, plan for daily highs up to 13°C, and evening lows to 4°C. Finish your sightseeing early on the 7th (Sat) to allow enough time to travel to Tampere. Deepen your sense of the past at sights like Tampere Cathedral and Serlachius Museum Gustaf. Museum-lovers will get to explore Vapriikin Museokeskus and Parola Tank Museum. 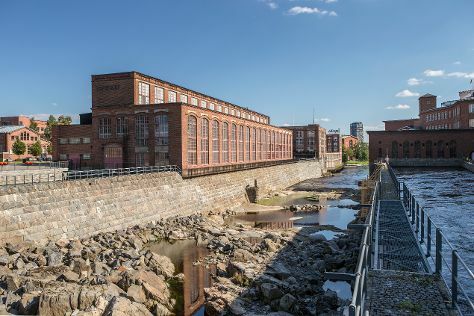 Explore the numerous day-trip ideas around Tampere: Seitsemisen Kansallispuisto (in Ylojarvi), Visavuori (in Valkeakoski) and Serlachius Museum Gosta (in Mantta-Vilppula). The adventure continues: identify plant and animal life at Hatanpaa Arboretum, see the interesting displays at Emil Aaltosen Museo, explore the world behind art at Hiekka Art Museum, and take in panoramic vistas at Pyynikki Park and Observation Tower. For other places to visit, photos, ratings, and other tourist information, use the Tampere itinerary maker website . Traveling by combination of flight and train from Inari to Tampere takes 5.5 hours. Alternatively, you can do a combination of bus and flight; or drive. Traveling from Inari in September, you will find days in Tampere are a bit warmer (17°C), and nights are about the same (7°C). Finish up your sightseeing early on the 11th (Wed) so you can go by car to Rauma. Rauma is a town and municipality of ca. 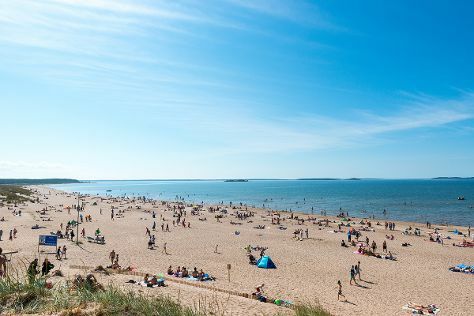 Kick off your visit on the 12th (Thu): get to know the fascinating history of Old Rauma, learn about all things military at Rauman Merimuseo - Rauma Maritime Museum, and then enjoy the sand and surf at Yyteri Beach. On the 13th (Fri), you'll have a packed day of sightseeing: head off the coast to Isokari Lighthouse. To see where to stay, reviews, maps, and tourist information, refer to the Rauma road trip tool . Getting from Tampere to Rauma by car takes about 2 hours. Other options: do a combination of train and bus; or take a bus. In September in Rauma, expect temperatures between 17°C during the day and 8°C at night. Finish up your sightseeing early on the 13th (Fri) so you can go by car to Kimito Island. Start off your visit on the 14th (Sat): visit a coastal fixture at Archipelago National Park. Keep things going the next day: explore the world behind art at Soderlangvik and then expand your understanding of the military at Oro. For reviews, where to stay, more things to do, and other tourist information, read Kimito Island day trip planning site . You can drive from Rauma to Kimito Island in 2.5 hours. Alternatively, you can take a bus. Expect a daytime high around 19°C in September, and nighttime lows around 7°C. Finish your sightseeing early on the 15th (Sun) so you can drive to Turku. Popular historic sites such as Turku Castle and Turku Cathedral are in your itinerary. You'll explore the less-touristy side of things at Teijo national park and Luostarinmaki Handicrafts Museum. 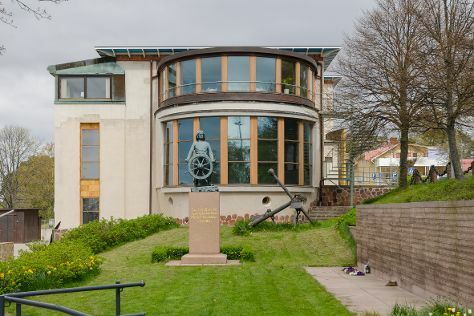 There's much more to do: examine the collection at Aboa Vetus & Ars Nova, admire the masterpieces at Ett Hem Museum, get a taste of the local shopping with Galleria Joella, and let the kids burn off some steam at Adventure Park. For more things to do, maps, where to stay, and more tourist information, go to the Turku day trip planning website . Getting from Kimito Island to Turku by car takes about 1.5 hours. Other options: take a bus. Expect a daytime high around 18°C in September, and nighttime lows around 7°C. Wrap up your sightseeing on the 18th (Wed) early enough to travel to Mariehamn. Mariehamn is the capital of Åland, an autonomous territory under Finnish sovereignty. Start off your visit on the 19th (Thu): examine the collection at Museumship Pommern, learn about all things military at Aland Maritime Museum, explore the historical opulence of Jan Karlsgården Outdoor museum Jan Karlsgården, then see the interesting displays at Kastelholm Castle, and finally take in the waterfront at The Maritime Quarter. Here are some ideas for day two: examine the collection at Aland Hunting & Fishing Museum, step off the mainland to explore Kobba Klintar, then test your team's savvy at popular escape rooms, and finally stroll through Lilla holmen. To see reviews, other places to visit, where to stay, and other tourist information, read our Mariehamn holiday planner. Traveling by flight from Turku to Mariehamn takes 2 hours. Alternatively, you can ride a ferry. September in Mariehamn sees daily highs of 18°C and lows of 9°C at night. Finish up your sightseeing early on the 20th (Fri) so you can travel to Savonlinna. Kick off your visit on the 21st (Sat): take in the history at Salpa Line, take in the spiritual surroundings of Kerimaki Church, examine the collection at Lusto - The Finnish Forest Museum, then step into the grandiose world of Olavinlinna Castle, and finally take in the architecture and atmosphere at Pikkukirkko. Get ready for a full day of sightseeing on the 22nd (Sun): explore the wealth of natural beauty at Kolovesi National Park. To see traveler tips, maps, where to stay, and other tourist information, read our Savonlinna trip itinerary maker . Traveling by flight from Mariehamn to Savonlinna takes 5.5 hours. Alternatively, you can do a combination of flight and train; or do a combination of flight and bus. September in Savonlinna sees daily highs of 16°C and lows of 7°C at night. Finish up your sightseeing early on the 22nd (Sun) so you can go by car to Kouvola. Kouvola is a town and municipality in southeastern Finland. Let the collections at Salpa Line Museum and Kouvola City Museum capture your imagination. Step out of the city life by going to Arboretum Mustila and Repovesi National Park. You'll find plenty of places to visit near Kouvola: Bunker Museum (in Virolahti) and Hiidenvuori (in Iitti). It doesn't end there: take a peaceful walk through Niivermaki Nature Conservation Area. To see other places to visit, photos, reviews, and other tourist information, you can read our Kouvola travel route planning website . You can drive from Savonlinna to Kouvola in 3 hours. Alternatively, you can take a train; or do a combination of bus and train. In September in Kouvola, expect temperatures between 17°C during the day and 9°C at night. Wrap up your sightseeing on the 25th (Wed) to allow time to take a train to Helsinki. Museum-lovers will appreciate Seurasaari Island and Open-Air Museum and Kansallisgalleria. You'll discover tucked-away gems like Nuuksio National Park and Taidekoti Kirpila. There's still lots to do: contemplate in the serene atmosphere at Rock Church, take in nature's colorful creations at Observatory Hill Park, take in the architecture and atmosphere at Helsinki Cathedral, and learn more about the world around you at Natural History Museum (Luonnontieteellinen Museo). For other places to visit, more things to do, maps, and tourist information, read Helsinki trip itinerary website . You can take a train from Kouvola to Helsinki in 1.5 hours. Other options are to drive; or take a bus. In September, plan for daily highs up to 19°C, and evening lows to 8°C. Wrap up your sightseeing on the 29th (Sun) to allow time to travel back home.